Donald Merritt, 79, passed away March 27, 2019 with Linda Sullivan and Patty Zeboris at his side. Don was predeceased by his parents Wilmer and Celia Merritt, Linda's parents Walter and Patricia "Mom" Sullivan and his loyal companion and best buddy, his golden retriever Chief. He is survived by his most dear friend, companion and caregiver; Linda Sullivan, two sisters; Dolores Valesse and Sandra Perry, Linda's sister; Katherine Kneer and Katherine's daughter Patricia Zeboris who always helped and encouraged him with love. 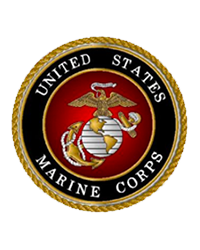 Don proudly served his country in the United States Marine Corps. He loved life, people and nature. He enjoyed going to casinos and his many travels with Linda, particularly their many trips to Florida. He particularly enjoyed the Finger Lakes Region of New York and the many beautiful apple orchards.